Shipment of Pot-Infused Candies Seized In Prince George's Co. Authorities in Prince George's County have seized several boxes of candy infused with marijuana. 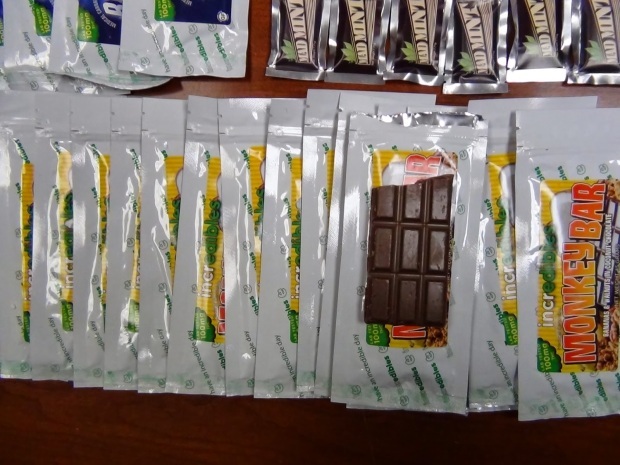 The candy -- including taffy, mint chocolate bars, blueberry chocolate bars and banana-walnut chocolate bars -- was seized earlier this week, police announced Friday morning. Each piece of the candy contains 100 milligrams of THC, the main ingredient in marijuana. PHOTOS: Marijuana-Laced Candy in Md. The candy was shipped from the west coast and Colorado, said Prince George's County Police. "This is the first time we've seen this product in Prince George's County," said Captain Chuck Hamby, Narcotic Enforcement Division Assistant Commander, in a release Friday morning. "Despite the on-going investigation, we felt it important to let our community know that products like this exist so parents and guardians ensure the candy doesn’t somehow wind up in their children's Halloween candy bag,"
Hamby will provide more information during a press conference at 10:30 a.m. Friday.